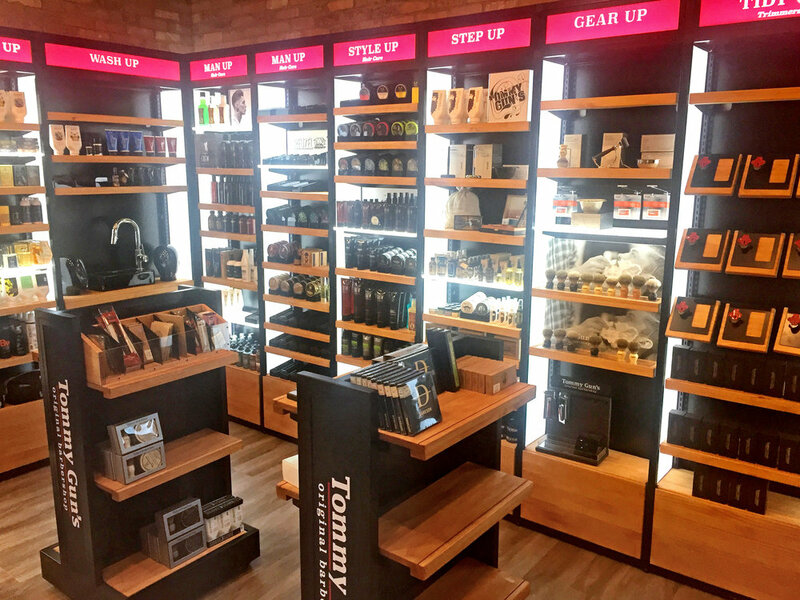 iDesign designed the Tommy Gun's store design as an all in one modular shelving system to increase sales and brand awareness for the Tommy Gun's Canadian and Australian store networks. We used the double sided Pixalux® structural light panel to separate bays with an illuminated divider, and a magnetic illuminated header and shelving system. The easily updatable design was flat packed to allow quick 1-2 person installation and reduced shipping costs. 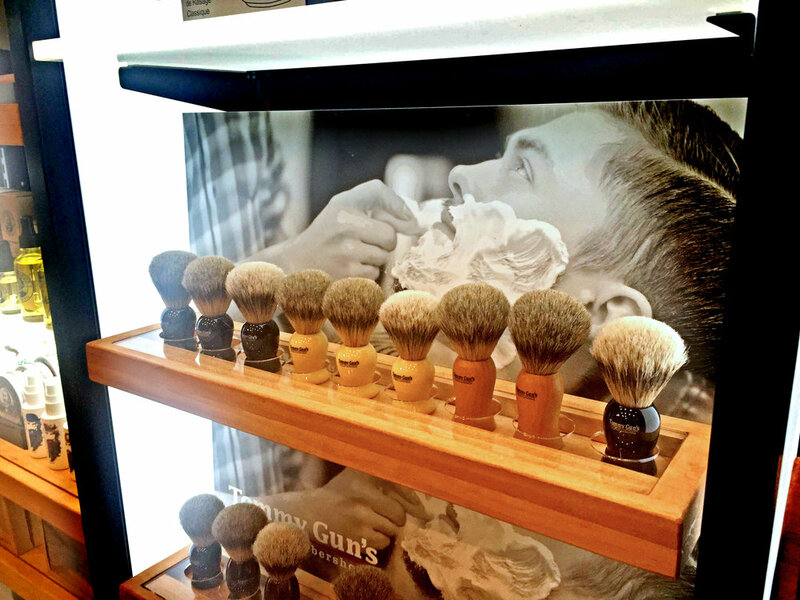 The typical store layout had 16-24 wall bays (either 600mm with or 900mm wide including a sink bay with running water), 2 mobile promotional units, multiple freestanding floor gondola displays, and some accessory Counter displays. Manufactured in China, iDesign arranged all importation and installation logistics, and after sales service across Canada and Australia.